Ideal Boston Appliance Repair is a family owned and operated appliance repair service in Boston that takes great pride in our service. Our goal is to make sure that each repair customer is paid the same amount of care and attention as the one before. We also appreciate the trust that our customers have in our appliance repair company. Our certified appliance repair technicians go through rigorous training and education that is, then, complemented by experience which allows them to do any and all repairs that you may need. 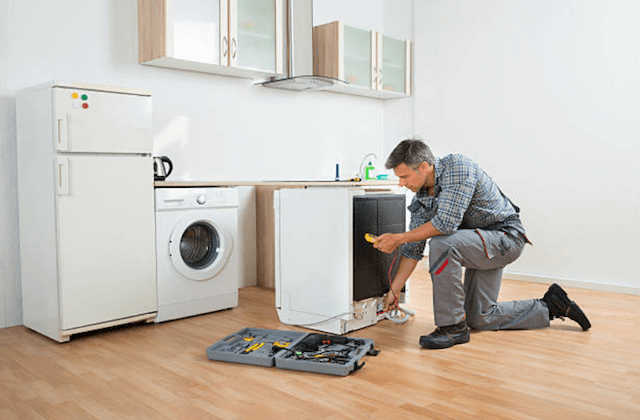 Our repairmen are also well-versed in the newer appliance brands and technologies, so they are able to keep up with the modern advancements in household appliances. 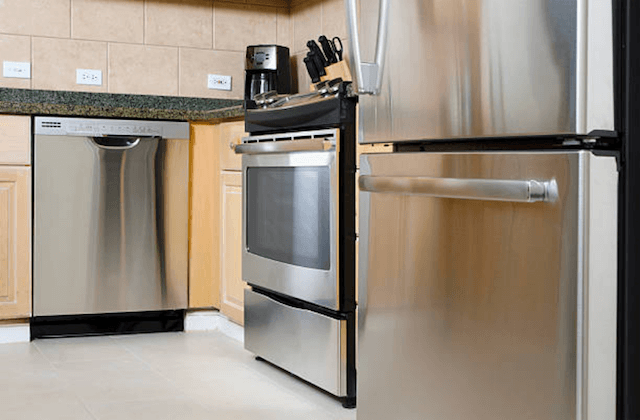 It is our goal is to complete the necessary service on your refrigerator, dishwasher, oven, washing machine, or dryer on the same day that you called us. We make this same-day appliance repair service available to all of our customers. We make sure that our service vans are fully stocked with manufacturer parts. This guarantees that our technicians are able to work on such brands as Whirlpool, Maytag, Kenmore, Samsung, KitchenAid, Wolf, Bosch, Sub-Zero, Frigidaire and so many more. Our technicians and the work that they do also come with a 12-month warranty because the satisfaction of our customers is important to us. Our technicians are able to identify the issue and then employ manufacturer parts to fix that issue. They handle common and not-so-common problems with refrigerators and freezers such as condensation, ice makers, water dispensers, noises, cooling issues, or whatever else may be going on. They can successfully complete these repairs on the whole list of major brands. We are there, at your service, when your range hood or stove breaks. Our technicians are given the tools and the skills to be able to fix all brands and models of ovens including gas and electric models. 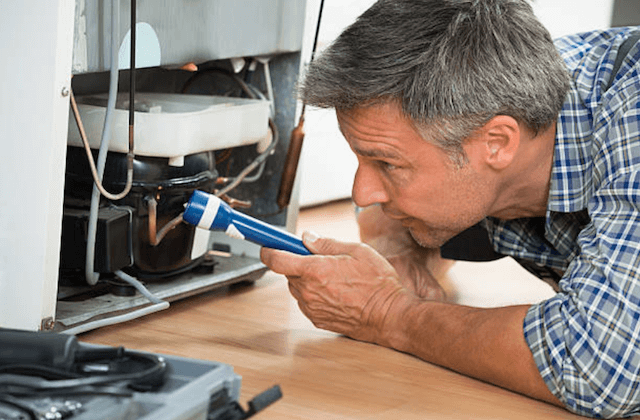 They can tend to the wide range of problems that can occur with your stove pertaining to things like burners, doors, relays, ignitors, bulbs, and more. Our same-day service applies to dishwashers too. We can identify and fix any and all possible problems with your dishwasher, from common to rare. Dishwashers can be a complicated machine to work on due to the fact that some problems will affect the ability to wash and others affect the drying cycle. These issues include impellers, pump assemblies, odors, cloudy glassware, and so much more. Trips to the laundromat are out of the question for a busy household because of the inconvenience and the cost. Our punctual technicians can work on front- and top-loading machines and our same-day service applies to washers and dryers too. They can diagnose and fix problems that relate to agitation, noise, doors, switches, control boards, and vibrations. “So impressed with the service I received! The repairman was very polite and professional. He called ahead to tell me he would be at our home soon and then he already had all of the parts he needed to repair our dishwasher so everything went very smooth.” – Leslie A. “Great company! I recommend them for anyone who has a broken appliance in their home. We have called for oven and freezer repair and both times the service was fast and friendly. Fair pricing too!” – Charles E.
“Based on the reviews I read online, it’s no surprise they did an excellent job repairing our Samsung refrigerator. We will call them again the next time we need a professional repairman.” – Diane J.